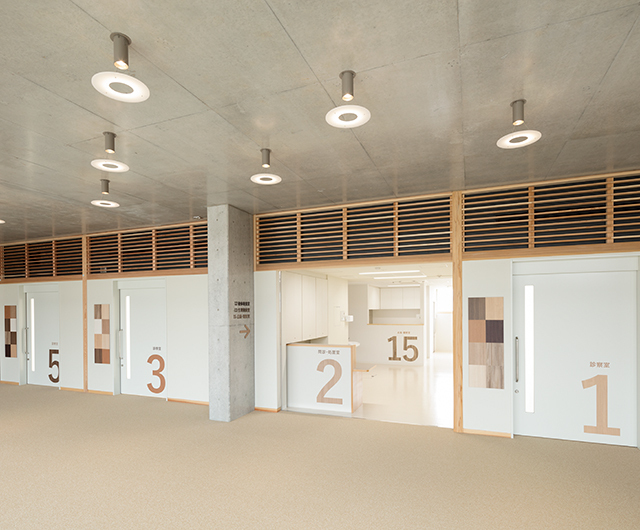 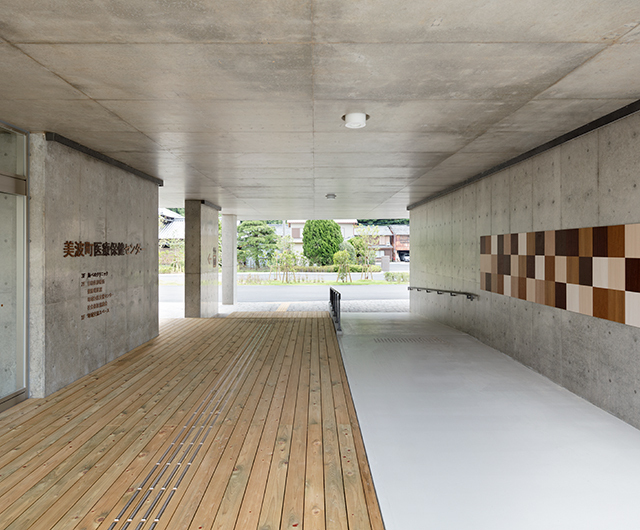 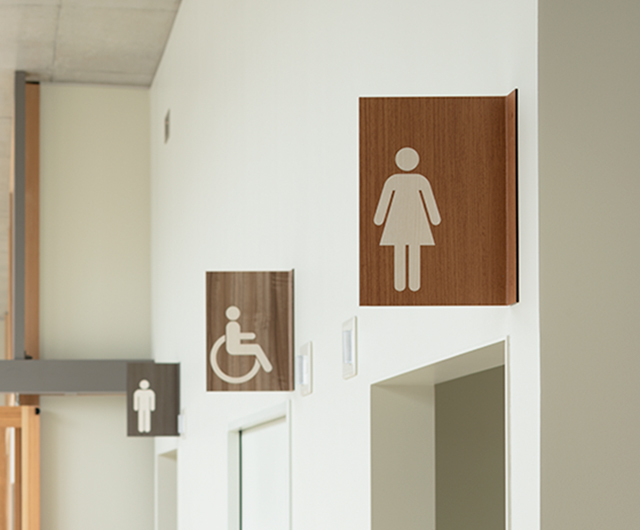 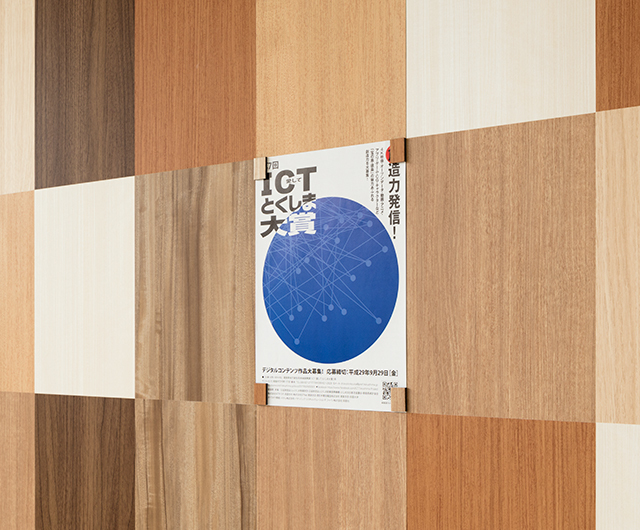 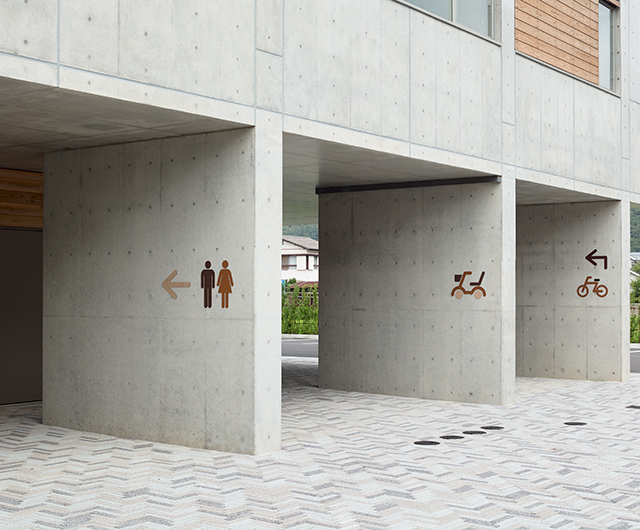 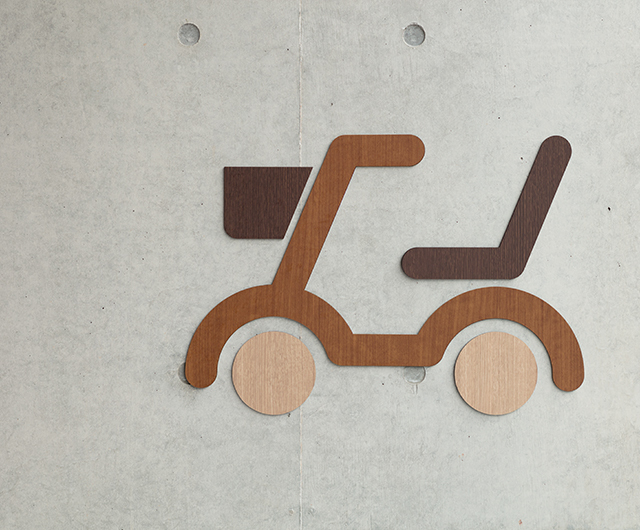 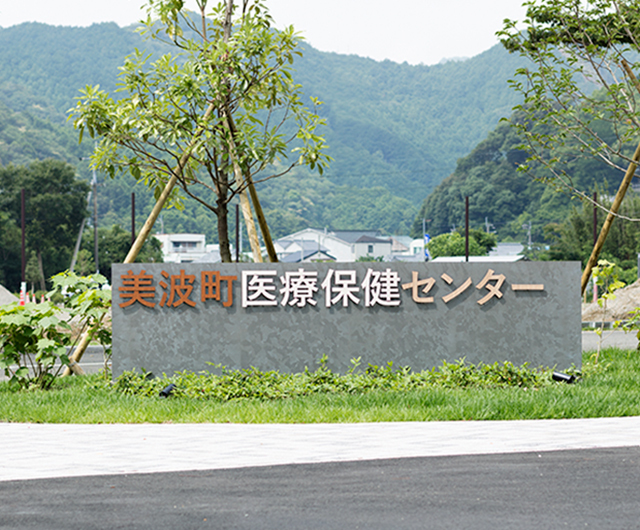 A signage project for a medical health center designed from prefecture-sourced wood and concrete. 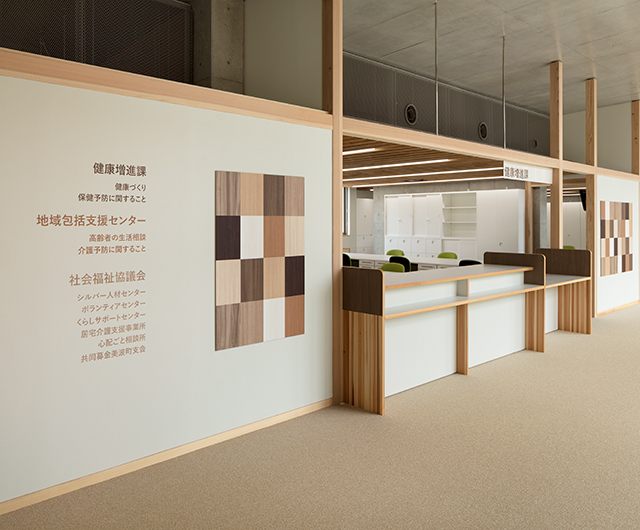 We provided warmth as an accent to the space by using wood grain sheets in a patchwork manner. 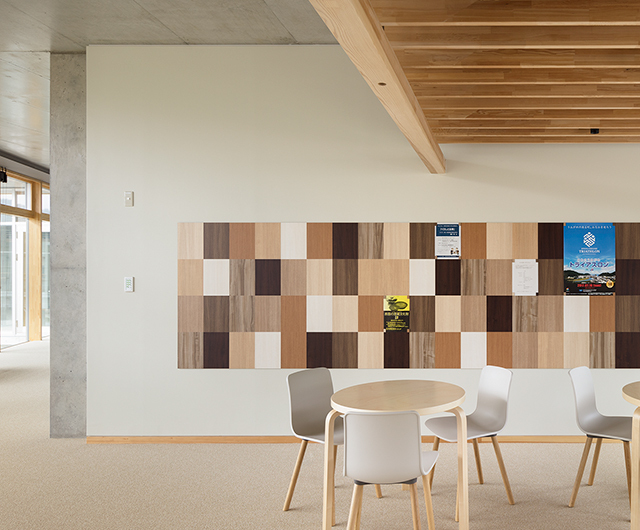 we created reference lines for when posting notices while also giving consideration to providing a sense of unity through the patchwork made by the various postings.